Cold bending for the production of bent parts used in forestry machines and in the equipment typical of the forestry sector. What are forestry machines and where are they used? Forestry machines are mainly used for cutting trees and transporting logs. These machines are widely used, especially in northern Europe. In countries like Finland, Norway, Sweden, Russia and Germany the forests are particularly vast. Forestry machines are used to cut and haul the wood necessary for the production of furniture, houses, barrels, light poles or firewood. Forestry machines are used in many other countries throughout the world, like France, Italy and Poland, to maintain the woodlands and parks and keep them clean. These include state parks, oases and nature reserves. The technological progress related to the production of these machines has revolutionized the transportation of lumber and the processes of cleaning the underbrush. 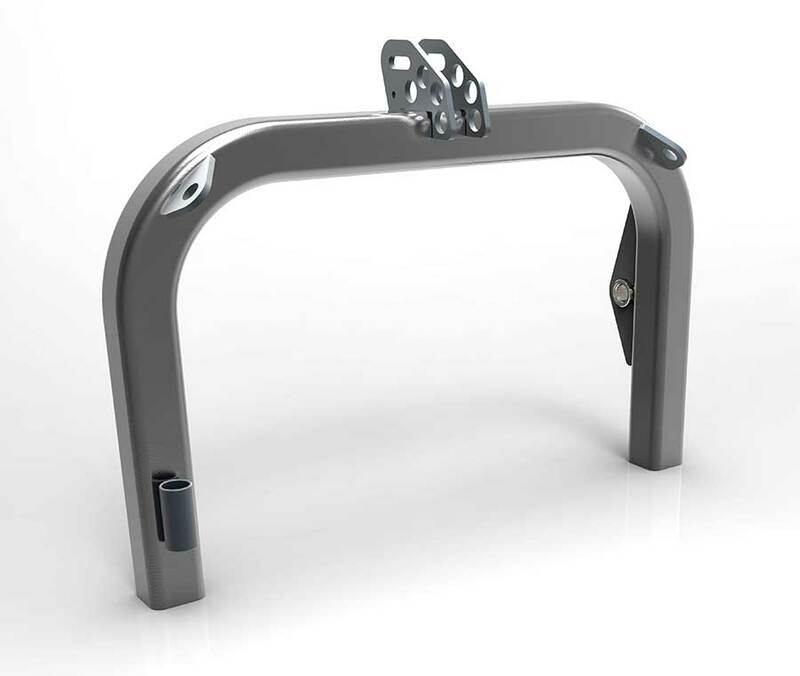 These improvements have also been made possible by the use of bent steel tubes and bars produced with cold bending technology. The wooded terrain on which forestry machines are used is often rough and steeply sloped. Forests are rarely flat. Loads of logs are heavy. This all means that the transportation of logs with forestry machines is subject to severe stresses and this greatly increase the risk of damage or breakdowns. For this reason it is extremely important to determine the correct cross-section of the tubes to bend during the project stage. In addition to the diameter for round tubes and the cross-section in case of square or rectangular bars, the thickness and quality of the steel are also very important. We recommend buying only steel produced by foundries that certify the characteristics of the alloy with quality certification. 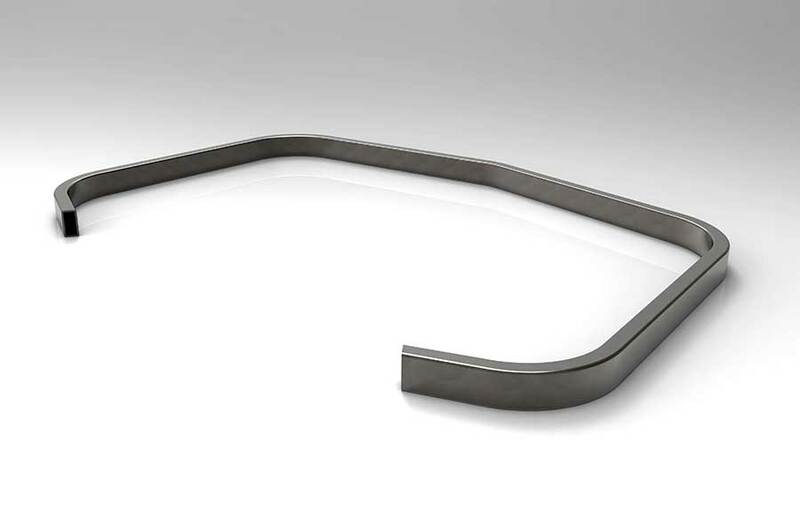 Tecnocurve uses only hot bent steel tubes. The reason is that they guarantee greater stress resistance. The steel tubes we use come in diameters between 40 mm and 70 mm and cross-sections for square and rectangular elements between 40×40 and 120×120. The thickness of the tubes is between 4 and 6 mm. The most important step in processing tubes for the production of forestry machines is the cold bending process, a technique in which Tecnocurve has over 25 years of specialization. The use of a CNC tube bending machine permits the mass production of tubes for forestry machines. The constant repeatability of the bending process enables the company to reduce production costs while maintaining high standards of quality. 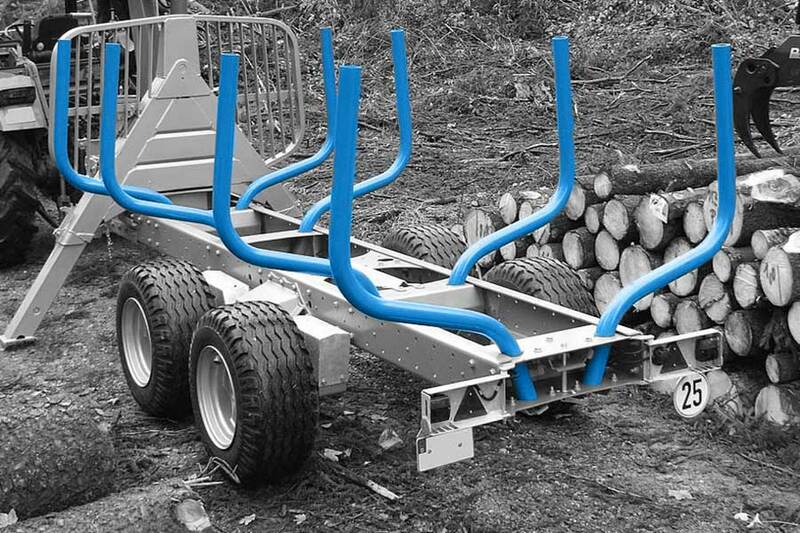 For certain forestry machines of the latest generation, we also use roll bending technology. This is a type of bending that is not made using a matrix, but by passing the steel tube through a trio of rollers. Unlike bending, where the radii are fixed and imposed by a matrix, in roll bending, the bend radii can be much greater and of various sizes. Before bending (or roll bending) the tube, we make several cuts on the steel bars. The cutting operation is performed using the Laser tube, a machine that can be used to make high precision holes, slots and tilted cuts. The use of the Laser Tube also enables us to speed the entire production process as it is no longer necessary to perform the above-mentioned processes after bending. At times we are asked to perform particular processes on the tubes for forestry machines. In these cases, we design and produce the equipment necessary on the CNC work centers or latest generation of lathes. These are, in particular, matrices (that determine the radius of the bend in the tube), slides, counter-slides, flanges and clamps. Usually forestry machines made of bent steel tubes are equipped with all the plates or bushings that will be used to fasten the machine to the tractor. Assembly in this case is done in the Tecnocurve plant with MIG-MAG welding, Tig and braze-welding, which enables us to produce such items as third point arches or welded cabs completely finished at the highest level of quality. A short paragraph should be devoted to the cab sector which is the operator’s command post on the forestry machines. These cabs are not unlike the cabs on farm equipment. They consist of a steel shell formed by a profile, the fundamental characteristic of which is the contour. This allows us to fasten the windshield on one side and the cab door on the other. Steel profiles for cabs come in various types, each of which would require special bending equipment, but Tecnocurve actually keeps a good supply of such profiles in stock! Thanks to the vast fleet of the latest generation of machines and the advanced technology in our possession, as well as the great skill of our staff when it comes to 3D design, we design and bend steel tubes of the highest quality and performance for the production of the latest generation of forestry machines. For their production, we use tubes and tubular elements in cold bent steel.